The most effective type of horror flick is one which understands the various manifestations of fear. It can manifest in various forms, be it through explicit encounters with monstrous killers or subtle cinematic trickery like a sequence of atmospheric shots. “The Thing,” John Carpenter’s 1982 sci-fi horror classic, was the foremost point of reference to strike me upon seeing Trey Edward Shults’ second feature film, “It Comes At Night.” Both films are rooted in similar themes of isolation-driven paranoia, each speaking to an innate fear where others can’t be trusted and conflict is a never-ending cycle of violence. Like Carpenter, Shults’ takes his story’s claustrophobic microcosm and welds a painful film brimming with fear, paranoia and ambiguity. Paul (Joel Edgerton) lives in a secluded house in the woods with his wife Sarah (Carmen Ejogo) and their 17 year-old son Travis (Kelvin Harrison Jr.), away from big cities and town centers where society has fallen to pandemonium. It’s implied that the source of the unrest is a pathogenic virus, the nature of which is kept vague and unexplored throughout the film. When the family crosses paths with Will (Christopher Abbott) and his wife and son, their three-person household doubles, as does the tension. Shults’ storytelling is unequivocally subtle, respecting the audience enough to make their own assumptions, raising more questions than providing answers. “It Comes At Night” is a horror film not for genre enthusiasts, but for lovers of precise filmmaking. For what it’s worth, the details he opts out of exploring service the plot only in the finer details, leaving their absences as earnest discussion points that add to the cerebral allure. 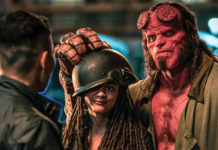 The lack of heavy exposition — the kind most horror movies will either unload in the first half hour or pepper throughout — isn’t only a commendable writing restraint; the void of information frames a constellation of questions that puts viewers in the same seat as the film’s characters, knowing only what they know, and often much less. 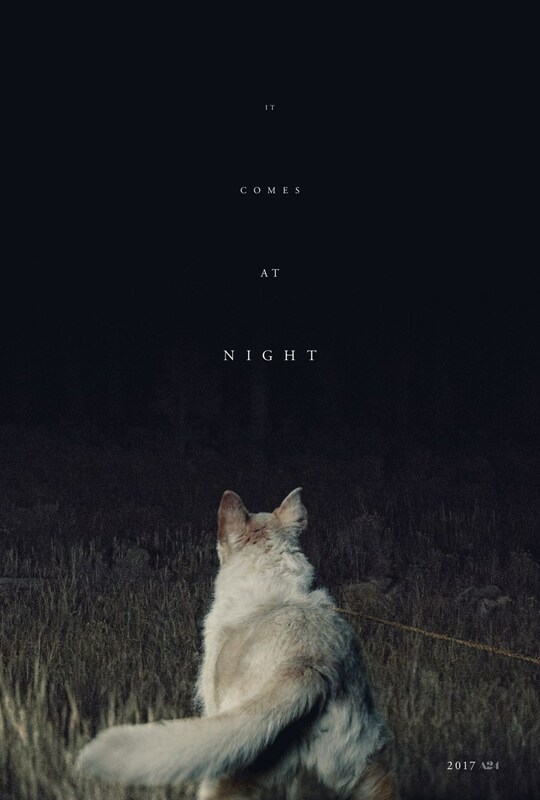 The “It” in “It Comes At Night” is a bit misleading. Considering how criminally mishandled the marketing was, it shouldn’t be a spoiler to state the nature of the title. With a trailer strongly suggesting it to be an eerie creature feature (and not the psychological horror film it actually is), lukewarm reception from general audiences comes as no surprise. What “It” refers to is up to interpretation, but the top contenders always come back to humanity’s worst elements — fear, mistrust, violence and the like — and not a hulking beast. 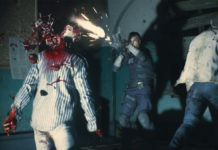 Nonetheless, the film consistently delivers nerve-wracking scenes that excel in crafting horrifying scenes. It’s amazing to see just how precise the direction of the film is: So much goes into crafting the perfect atmosphere, right down to shifting aspect ratio, depth of focus and nuances in characters’ nonverbal gestures. A plume of smoke from the burning corpse of an older father figure is the harbinger of structural decay emblematic of humanity at its worst — later, two men, seemingly father and son, embrace each other in death. Drew Daniels helms the film’s claustrophobic cinematography, capturing these moments effectively to steadily build the unease until the social bonds between Paul and Will’s family fall, giving in to the entropic nature Shults envisions in his petri dish of a civilization on the brink of collapse. A cynical reading of the film might be the most honest, as the root of the horror in the film comes from the realization that the events unfold as they would in the real world. The few cast members present all perform with vigor and breathe life into their desperate characters. Paul’s motivation is simple: Protect his family. He exudes an almost overbearing masculinity that, to no surprise, comes at others’ expense. To that end, he alienates his son and foregoes a nurturing relationship with him in favor of being a protector. Edgerton is outstanding in this regard, never falling into villainous cliches, but rather eliciting a sympathy for his role as a paranoid safeguard. But the highlight among the film’s performers is the young Harrison. He’s a teenager, but isn’t allowed to be one; he explores his sexuality in awkward conversation, inappropriate gazes and nightmares — the same nightmares where his existential worry manifests itself in ominous walks through the house and curious exploration outside. Verdict: While not for the impatient moviegoer who needs their questions answered, A24 lands themselves another horror winner. “It Comes At Night” is a terrifying slow burner on what fear does to men, showcasing Shults’ tenacity as a filmmaker with clear vision.